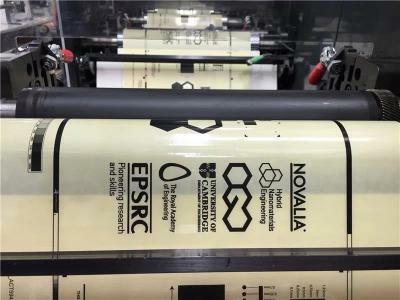 Researchers at the University of Cambridge, in collaboration with Cambridge-based technology company Novalia, developed a method that allows graphene and other electrically conducting materials to be added to conventional water-based inks and printed using typical commercial equipment. The method works by suspending tiny particles of graphene in a ‘carrier’ solvent mixture, which is added to conductive water-based ink formulations. The ratio of the ingredients can be adjusted to control the liquid’s properties, allowing the carrier solvent to be easily mixed into a conventional conductive water-based ink to significantly reduce the resistance. The same method works for materials other than graphene, including metallic, semiconducting and insulating nanoparticles.This new graphene ink formulation should be 25 times cheaper than common methods, namely silver. Additionally, silver is not recyclable, while graphene and other carbon materials can easily be recycled. The new method uses cheap, non-toxic and environmentally friendly solvents that can be dried quickly at room temperature, reducing energy costs for ink curing. Once dry, the ‘electric ink’ is also waterproof and adheres to its substrate extremely well. In addition to cheaper printable electronics, this technology opens up potential application areas such as smart packaging and disposable sensors, which to date have largely been inaccessible due to cost. In the short to medium term, the researchers hope to use their method to make printed, disposable biosensors, energy harvesters and RFID tags.